This Fragrance Free Moisturiser by Geo. F. Trumper is an ingenious moisturiser designed especially with sensitive skin in mind, making it perfect to use for all skin types without fear of irritation. 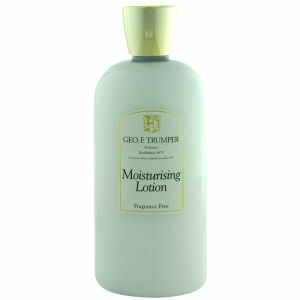 This moisturiser helps to nourish and moisturise the skin with its purified formula, caring for skin with tenderness. This Trumpers Fragrance Free Moisturiser helps to gently clean and caress your skin, providing it with gentle nourishment and hydration where needed. Allow your sensitive skin to find relief with this safe, fragrance free moisturising lotion, as it treats easily irritated skin with care.